Dr. Martin C. Weisskopf, NASA/MSFC Chief Scientist for X-Ray Astronomy on "The Imaging X-Ray Polarimetry Explorer: An Overview of the Mission and its Science"
The Imaging X-ray Explorer (IXPE) will be the next in the line of NASA’s Small Explorer Missions. The mission allows, for the first time imaging X-ray polarimetry with sufficient sensitivity to study approximately 50 X-ray sources per year of observing. The most unique feature of this mission provides image-resolved polarization measurements for a significant number of extended objects such as supernova remnants and pulsar wind nebulae. The imaging capability will also be exploited to accomplish a unique study of our galactic center to understand if Sagittarius A* [SGR-A* black hole] substantially more active several hundred years ago. The sensitivity also allows one to perform the first polarization map of the bright active galaxy Centaurus A (Cen-A). The mission involves a partnership with the Italian Space Agency and NASA and involves several institutions in Italy with the Italian partners providing the polarization-sensitive X-ray detectors and the use of the ground station at Malindi. The IAPS/INAF at Rome and INFN in Pisa and Turin will lead the detector development. Ball Aerospace, in Boulder Colorado, will build the spacecraft and perform systems integration. NASA’s Marshall Space Flight Center leads the program and will supply the X-ray Telescopes, use its facilities to perform end-to-end X-ray calibration and provide the Science Operations Center. Mission operations will be conducted at the Laboratory for Atmospheric Physics (LASP), also in Boulder Colorado. We will review the history of astronomical measurements of the linear polarization of X-ray sources discussing the various technologies and then explain the breakthrough that the IXPE detectors provides making the mission feasible. Following a description of the mission hardware and how IXPE works we will discuss a number of unique and exciting experiments that IXPE will perform. 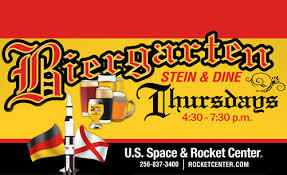 Stay after the talk to enjoy USSRC's Biergarden. Enjoy the festive atmosphere with imported and domestic beers and delicious wines from the German region. It’s family-friendly. Admission is free, and food and beverages are available for purchase. Martin C. Weisskopf received his B.A. in Physics from Oberlin College, and his PhD in Physics from Brandeis University. He began his career as an Assistant Professor at Columbia University, and left Columbia to become senior X-ray astronomer at Marshall Center and Chandra X-ray Observatory project scientist. He is project scientist for NASA's Chandra X-ray Observatory and Chief Scientist for X-ray Astronomy in the Space Sciences Department at NASA's Marshall Space Flight Center. With the passing of Dr. Robert Novick, Dr. Weisskopf is now the world’s leading expert on experimental techniques for X-ray polarization measurements of astronomical objects. While at Columbia University, he performed numerous experiments: The most relevant to this proposal was his involvement in the conception, design, construction, calibration, and flight of the sounding rocket experiment that first detected X-ray polarization from an astronomical object—the Crab Nebula. As important, he was a designer, Co- Investigator, and the Project Scientist (1975–1977) of the X-ray polarimeter on the OSO-8 satellite, the only satellite experiment specifically designed for such observations. His team was the first to develop and publish an electron-tracking polarimeter. He was a Senior Co- Investigator on the Stellar X-Ray Polarimeter experiment and, together with Dr. Ronald Elsner, led the scientific design of that experiment. More recently (2014) he led an international team to obtain the highest precision measurements of the Crab Pulsar’s polarization at 1.4 GHz. Dr. Weisskopf serves as the Chandra X-ray Observatory Project Scientist a position he has held since 1977. In this position he is responsible for the scientific integrity of one of NASA’s Great Observatories within programmatic constraints. The Observatory is in its 15th year of operation, having been designed for three years with a goal of five. Moreover the Observatory is one of the crown jewels of NASA’s scientific missions, consistently rating near the top of its many NASA Senior Reviews and having a publication and scientific impact record on a par with NASA’s Hubble Space Telescope. Chandra’s unparalleled success is in no small part due to the leadership and technical insight of Dr. Weisskopf, the Project Science Team at MSFC, and, of course, their partners at the Smithsonian Astrophysical Observatory. Dr. Weisskopf is the recipient of numerous awards including NASA Medals for Exceptional Service and Scientific Achievement, and a Presidential Rank Award. He is an elected Fellow of the American Physical Society, which, amongst other things, cited his pioneering work in X-ray polarimetry. He is also an elected Fellow of the International Society for Optical Engineering (SPIE), which recognized his technical expertise in the area of X-ray instrumentation for astronomical observations. He is also a winner of the Rossi Prize of the High Energy Astrophysics Division of the American Astronomical Society, which recognized his contributions to the success of the Chandra X-Ray Observatory. 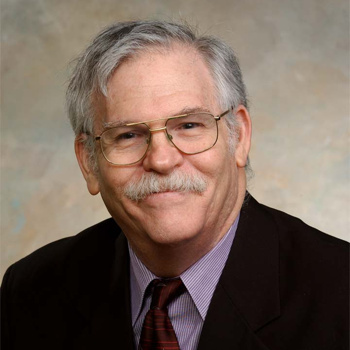 Dr. Weisskopf has authored or co-authored 330 papers in refereed journals, books, and conference proceedings. Of particular relevance are 38 publications on many aspects of X-ray polarimeters, X-ray (and radio) polarimetry, 22 publications on various aspects of proportional counters.